I am presiding at the Community Eucharist in the Church of Ireland Theological Institute this evening [4 November 2015], and the preacher is my colleague, the Revd Dr Patrick McGlinchey. 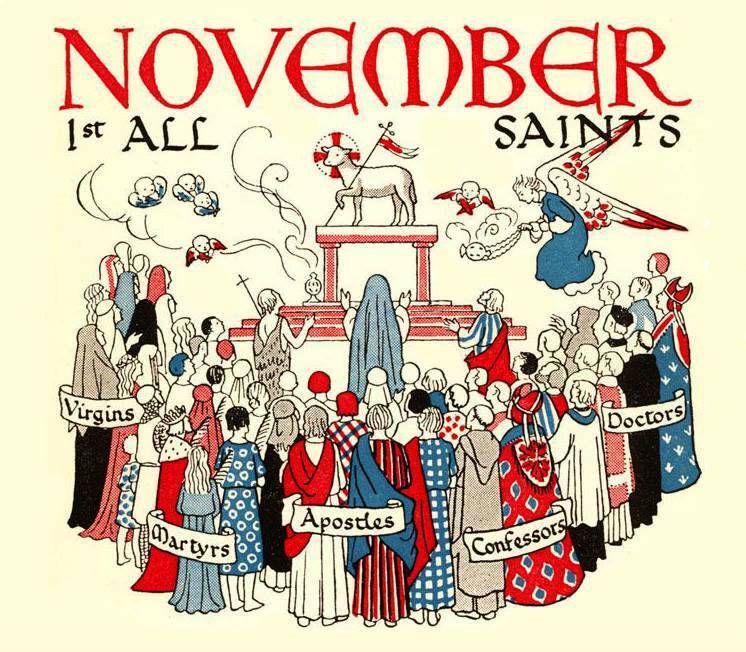 Last Sunday [1 November 2015] was All Saints’ Day, and this evening we are using the Readings, Penitential Kyries, Collect and Post-Communion Prayer of All Saints’ Day, and hymns that are appropriate for this festival. The readings are: Wisdom 3:1-9; Psalm 24; Revelation 21: 1-6a; and John 11: 32-44. This evening’s readings, collect and post-communion prayer are those for All Saints’ Day, which we have translated from last Sunday. This evening, three hymns are from the new supplemental hymnal, Thanks & Praise. Processional Hymn: ‘God, whose city’s sure foundation’ (Church Hymnal, 464) was written by Cyril A. Allington (1872-1955), a former headmaster of Eton, while he was Dean of Durham for a service of the Friends of Durham Cathedral. The hymn is generally sung to the majestic tune ‘Westminster Abbey’ by Henry Purcell (ca 1659-1695), the first official Organist of Westminster Abbey. Until the arrival of Edward Elgar, he was regarded as the greatest English composer. Gloria: ‘Glory to God’ (Thanks & Praise, 196) is a Peruvian liturgical version of the canticle Gloria in Excelsis Deo, set to a Peruvian traditional chant. It was collected by John Ballantine. Gradual: ‘Christ is surely coming, bringing his reward’ (Thanks & Praise, 23) is by the Revd Christopher Idle, who has written hundreds of hymns and now lives in retirement in Bromley. The tune ‘Land of hope and glory’ is by Sir Edward Elgar (1857-1934) and is arranged by Derek Verso. Offertory: ‘God everlasting, wonderful and holy’ (Thanks & Praise, 43) is by Harold Riley (1903-2003). The tune Coelites plaudant is a melody from the Rouen Antiphoner (1728) and was harmonised by Ralph Vaughan Williams (1872-1958), originally for ‘Christ, the Fair Glory of the Holy Angels’ by Athelstan Riley in the English Hymnal, co-edited by Vaughan Williams and Percy Dearmer. Post Communion Hymn: ‘For all the saints, who from their labours rest’ (Church Hymnal, 459) was written by Bishop William Walsham How (1823-1897) as a processional hymn for All Saints’ Day. Bishop How, who was known as ‘the poor man’s bishop,’ was the first Bishop of Wakefield, and died in Leenane, Co Mayo, in 1897. The saints recalled in this hymn are ordinary people in their weaknesses and their failings. 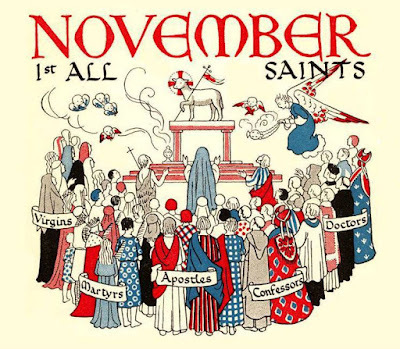 In its original form, it had 11 verses, although three are omitted from most versions – the verses extolling ‘the glorious company of the Apostles,’ ‘the godly fellowship of the prophets’ and ‘the noble army of martyrs’ were inspired by the 1662 Book of Common Prayer version of the canticle Te Deum. The tune ‘Sine Nomine’ (‘Without Name,’ referring to the great multitude of unknown saints) was written for this hymn by Vaughan Williams while he was editing the English Hymnal (1906).